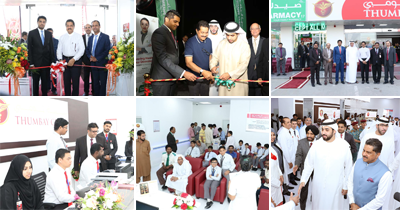 Thumbay Group’s Healthcare Division expanded its networks of state-of-the-art family clinics and pharmacies by opening a new Thumbay Clinic and Thumbay Pharmacy in Abu Shagara, Sharjah, on 19th July 2018. 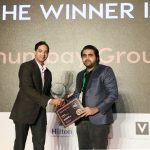 Dr. Thumbay Moideen, Founder President of Thumbay Group was the chief guest of the opening function. Mr. Mohammed Meeran, Chairman of Electric Way, Dubai was the guest of honor. Also present were Mr. Akbar Moideen Thumbay – Vice President of the Healthcare Division of Thumbay Group, and other members of Thumbay Group Board. After having taken the tour of the facilities Mr. Mohammed Meeran applauded the achievements & growth of Thumbay group and its contribution to the community in education and healthcare. “We are very excited to have the clinic open in Abu Shagara. Delivering high-quality, patient-focused, cost-effective healthcare service has always been an important priority of Thumbay Group’s academic hospitals and family clinics. 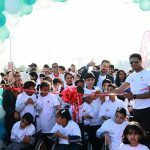 The new clinic will provide a range of specialist services to the community, consolidating Thumbay Clinics’ reputation as a popular chain of family clinics,” said Mr. Akbar Moideen Thumbay. 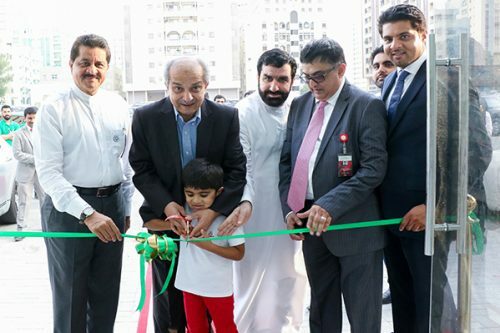 Dr. Thumbay Moideen said that the new clinic and pharmacy where the latest additions as part of Thumbay Group’s global expansion plans, aiming to scale up the businesses at least ten times, establishing global presence and increasing the employee strength to 25,000 in the next 4-5 years. “The Thumbay academic hospital network will have a total of 1000 beds in the UAE, 1500 beds in India and 750 beds elsewhere in the Gulf and Africa by 2022, in addition to upcoming clinics, day care hospitals, labs and pharmacies at various locations,” he said, elaborating on the plans for the healthcare division. The group plans to open at least four more clinics and several more pharmacies, as part of the expansion plans this year. Clinics and pharmacies are at various stages of development in locations including Deira Waterfront, Dragon Mart and Bur Dubai in Dubai and Rahmaniya Mall in Sharjah. 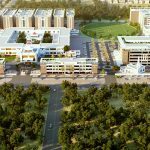 This is in addition to the new project coming up in Thumbay Medicity, Al Jurf, Ajman: the Thumbay University Hospital Complex which includes the 500-bed Thumbay Hospital – the biggest private academic hospital in the region.